Spaero was founded in November of 1997. Since the moment of its foundation, the main directions of its activities were the following ones: software development, development of interactive multimedia programmes; animation, computer graphics and design. Since 1999, having established its Internet Technologies (IT) Department, Spaero has started working actively in that sphere. For the past period of ten years, the company has carried out more than four hundred projects in different areas of computer technologies. Among partners and customers of Spaero one can find such organisations as: National Library of Russia, Zoological Institute of Russian Academy of Sciences, Military Historical Museum of Artillery, Engineers Corps and Communication Troops, Russian Museum, Summer Garden and Museum-Palace of Peter the Great, Saint Petesburg Academic Philharmonic Society, Saint Petersburg Directorate of Theatre and Show Booking Offices, Mariinsky Theatre, Musical Comedy Theatre, National Safety Academy, Tourism and International Economic Relations Institute of the National Service and Economics Academy, National University of Architecture, Khanty-Mansiyski Bank, as well as different foreign and domestic companies: Polyalpan AG, Isover OY, Thermisol OY, Ondulin  Construction Materials, National Oil-Producing Company Slavneft, Giprok Inc., Optirok Inc., Eurosib Service Inc., Evrosib Forvard Inc. and others. Spaero pays special attention to collaboration with national organizations and public non-profit funds and also supports many cultural projects in Saint Petersburg. The company is a sponsor and member of The Club of Friends of Military Historical Museum of Artillery, Engineers Corps and Communication Troops, a sponsor of International Association of Independent Composers and Saint Petersburg Nonprofit Musical Salon Tuesdays; it is also a creator of official sites of russian film-director Alexander Sokurov, Maestro Mstislav Rostropovich, russian composer and multi-instrumentalist Uri Каssyanik. 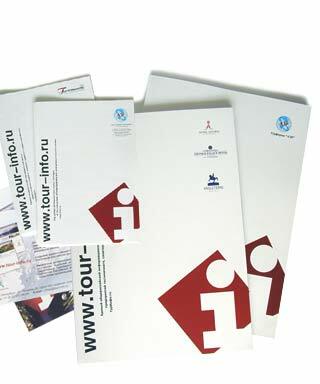 Since 2003, Spaero issues the All-Russian Information Catalogue TourInfo.ru, which was an informational partner of such international exhibitions as PIR (Моscow), Hotel and Catering Business (Моscow), Tursib (Novosibirsk), Yantur (Kaliningrad), Resorts and Tourism (Sochi) and other specialized tourist exhibitions. Now Spaero Co., Ltd works in the field of software development, carrying out multimedia and internet projects, graphic design and polygraphy. The company’s staff includes highly qualified specialists, working at Multimedia Department, IT Department and Design Group. They use most up-to-date computer technologies, guaranteeing high level of the Company’s products. The skills, acquired by our developers of software tools and by our Design Group in different branches of implementation of modern computer-based technologies, lets us offer to our customers all spectrum of cervices, including development of modern network resources, interactive multimedia programmes, and graphic design.